The eighth annual Leave No Child Inside Summit takes place on Saturday at Brukner Nature Center. 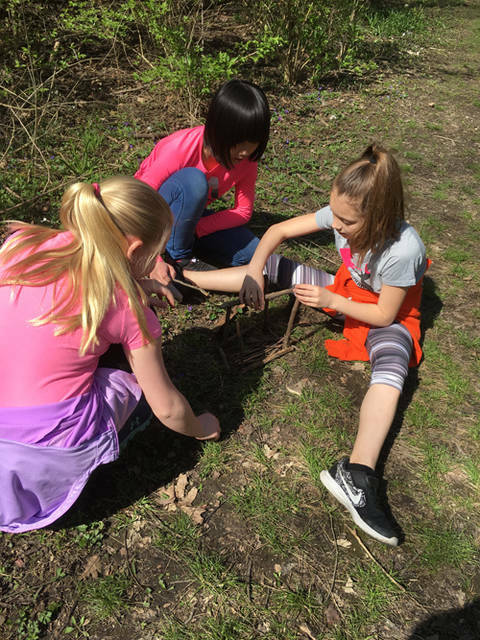 DARKE COUNTY – Growing up outdoors building forts, skipping rocks, walking barefoot and watching the clouds roll by is becoming rare as people’s connection to nature is being replaced by screen time and technology. The Miami Valley Leave No Child Inside Collaborative is working to reverse this trend. The Collaborative Board is comprised of regional park districts, private nature centers, soil and water districts and health and wellness professionals along with dozens of community partners. The eighth annual Leave No Child Inside Summit enables educators, childcare professionals and parents to establish ways to connect children to nature to make them happier, healthier and smarter. The Summit takes place on Saturday at Brukner Nature Center. Miami Valley Leave No Child Inside Collaborative’s eighth annual summit opens at 8 a.m. for registration, booths and networking. The summit welcome begins 8:30 a.m.
Workshop presentation will include award presentations for OUTstanding Teacher and Connect to Nature Sites Awards followed by breakout workshop sessions for teachers, parents and childcare providers. Summit and special booths close at 1:30 p.m., but Brukner Nature Center remains open until 5 p.m. Participants are welcome to bring a snack to share during breaks and display time until 1:30 p.m. There also will be refreshments available for all registered participants. The workshop is for adults only. Individuals can learn the steps to establishing a successful green schoolyard presented by Five Rivers MetroParks and learn about incorporating curriculum in the garden. This training is designed for school teachers and administrators who will receive a certificate of participation. Guests should bring a basic sketch of their school grounds to the workshop. This workshop is a family-friendly option. Guests can walk with this group as they learn how to involve children along the journey. Wild animal encounters as well as Brukner animal ambassador and tips for parents and hike leaders on creating a successful outing will be featured as well as a review of how to become involved with Hike It Baby, a national family initiative getting families outside together. The workshop is for adults only. SUTQ 3 credits (OPIN required). Guests can explore nature with young children ages 3-7 with easy to use activities. The program is from the award-winning nationally recognized Growing Up WILD curriculum. Each participant will receive guidebook provided by Ohio Department of Natural Resources. Registration is required and will be used to secure participation in the tailored workshop of guests’ choice (limited by capacity and registration order). To register, go to https://miamicountyparks.recdesk.com/Community/Program. Anyone who has questions or would like more information should contact Darke County Parks Naturalist Mandy Martin at 937-548-0165 or mmartin@darkecountyparks.org.